Here is the secret of deliberate rationality—this whole process is not magic, and you can understand it. You can understand how you see your shoelaces. You can think about which sort of thinking processes will create beliefs which mirror reality, and which thinking processes will not. Mice can see, but they can’t understand seeing. You can understand seeing, and because of that, you can do things that mice cannot do. Take a moment to marvel at this, for it is indeed marvelous. 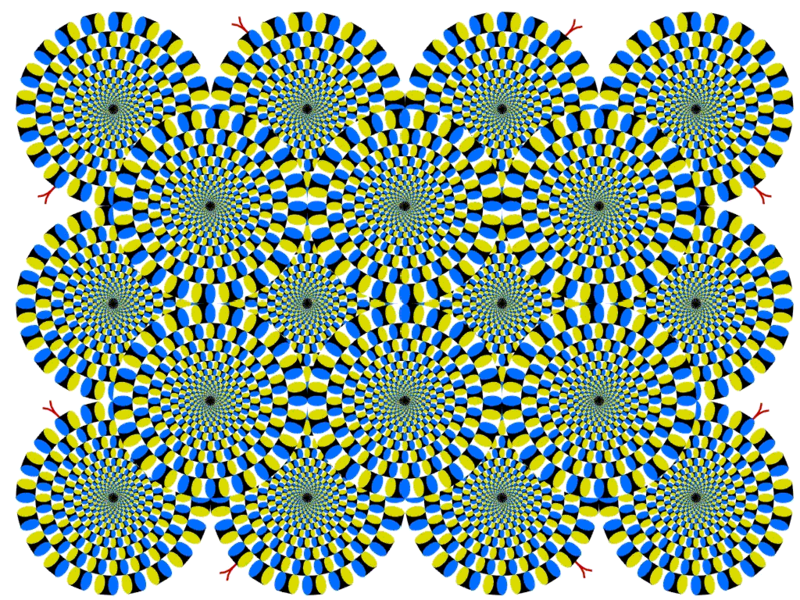 Mice see, but they don’t know they have visual cortexes, so they can’t correct for optical illusions. A mouse lives in a mental world that includes cats, holes, cheese and mousetraps—but not mouse brains. Their camera does not take pictures of its own lens. But we, as humans, can look at a seemingly bizarre image, and realize that part of what we’re seeing is the lens itself. You don’t always have to believe your own eyes, but you have to realize that you have eyes—you must have distinct mental buckets for the map and the territory, for the senses and reality. Lest you think this a trivial ability, remember how rare it is in the animal kingdom. The whole idea of Science is, simply, reflective reasoning about a more reliable process for making the contents of your mind mirror the contents of the world. It is the sort of thing mice would never invent. Pondering this business of “performing replicable experiments to falsify theories,” we can see why it works. Science is not a separate magisterium, far away from real life and the understanding of ordinary mortals. Science is not something that only applies to the inside of laboratories. Science, itself, is an understandable process-in-the-world that correlates brains with reality. Science makes sense, when you think about it. But mice can’t think about thinking, which is why they don’t have Science. One should not overlook the wonder of this—or the potential power it bestows on us as individuals, not just scientific societies. Admittedly, understanding the engine of thought may be a little more complicated than understanding a steam engine—but it is not a fundamentally different task. Once upon a time, I went to EFNet’s #philosophy chatroom to ask, “Do you believe a nuclear war will occur in the next 20 years? If no, why not?” One person who answered the question said he didn’t expect a nuclear war for 100 years, because “All of the players involved in decisions regarding nuclear war are not interested right now.” “But why extend that out for 100 years?” I asked. “Pure hope,” was his reply. To ask which beliefs make you happy is to turn inward, not outward—it tells you something about yourself, but it is not evidence entangled with the environment. I have nothing against happiness, but it should follow from your picture of the world, rather than tampering with the mental paintbrushes. If you can see this—if you can see that hope is shifting your first-order thoughts by too large a degree—if you can understand your mind as a mapping engine that has flaws—then you can apply a reflective correction. The brain is a flawed lens through which to see reality. This is true of both mouse brains and human brains. But a human brain is a flawed lens that can understand its own flaws—its systematic errors, its biases—and apply second-order corrections to them. This, in practice, makes the lens far more powerful. Not perfect, but far more powerful.